Welcome to Urban Dog, the ultimate go-to resource for devout metropolitan canine owners. Like more than a million other New Yorkers and Miamians, we here at Urban Dog are simply pet owners. 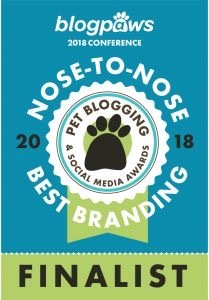 We don’t claim to be experts in dog behavior, dog health, dog training, pet laws, or any other “serious” dog topics, we DO admit to being incredibly passionate dog enthusiasts who, besides knowing the extreme joys of pet ownership, have been faced with a host of unique challenges that only a dog owner in an urban environment could encounter. From time to time, we will turn to the experts for advice and insight; but for the most part, our goal as dog-lovin’ bloggers is to entertain, engage, enlighten, and collaborate. 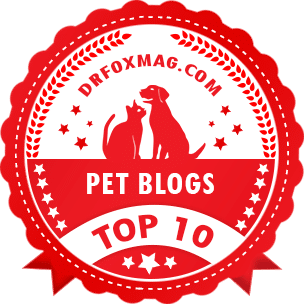 We understand the things you want to know about, which is why our topics will run the gamut from health issues to pet allergies, battling fleas and ticks, adopting rescues and pure breeds, reviewing the dog runs nearest you, doggie transportation, and much so more. Of course, there are other important issues that dog owners in urban areas face which we’re also happy and qualified to address, such as the travails of finding pet friendly apartments, dealing with condo and co-op boards, finding real estate agents who specialize in pet friendly buildings, and other related subjects. Lots of great information awaits you for sure. But while our goal is to inform, we’re certainly not opposed to posting oodles of cute puppy pictures. Why? Because everyone loves puppies! Our dream is to be the definitive online resource for all you Urban Dog owners; and our hope is to provide a great learning experience for you and your furry friend. Sean is a passionate dog lover and the proud owner of Urban Dog’s Official Spokes-Dog, Bodhi the Weimaraner. His family has always owned dogs, but Bodhi is the first he's been fully responsible for since puppyhood… and he couldn't be more doting. As a longtime New Yorker of more than 20 years, Sean knows what a dog's and dog owner's lifestyle is like in NYC. Besides being a doggy dad and top dog at Urban Dog, Sean also has a "real job" experience as co-owner of a Palm Beach, Florida-based private investigative firm, and as a licensed (pet friendly) Real Estate Salesperson with Douglas Elliman in NYC. Sean also exercised his creativity and business sense as an award-winning journalist, producer, TV marketing exec, and private investigator. When not blogging, working, or playing with Bodhi, he is an avid adventure traveler who has circumnavigated the world, bird-watched on all seven continents, safari-ed in Africa, and SCUBA-dived in exotic waters. Clark is a fanatic animal lover, pet owner and actor living in NYC. He has been interested in animals and animal behavior since childhood, when he would disappear in department stores in Virginia Beach and stare at the aquariums for hours. Clark's first dog at age five was a Chihuahua, and his passion for canines never waned. Having owned several different breeds over the years, from a cute Cocker Spaniel to a commanding Rhodesian Ridgeback, he has gained abundant knowledge through reading and experience. Today Clark is co-owner of Urban Dog's mascot Bodhi with Sean. He is also a self-confessed Animal Planet / "Nat Geo" addict who stays up till all hours feeding his animal "habit." Professionally, Clark himself has appeared on TV on Nickelodeon, plus acted in numerous Off-Broadway plays and highly-regarded regional theaters. His other favorite thing in life besides animals is world travel.